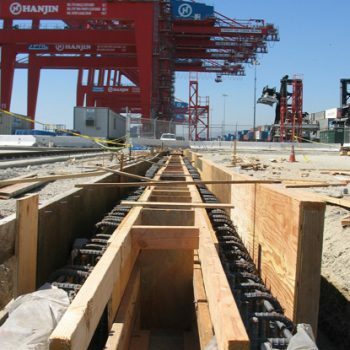 As the Port of Long Beach works to extend its facilities for international trade, Griffith has undertaken the important task of supporting the wharf extension to provide domestic water to shipping vessels within the terminal and a water system for fire protection in the event of an emergency. 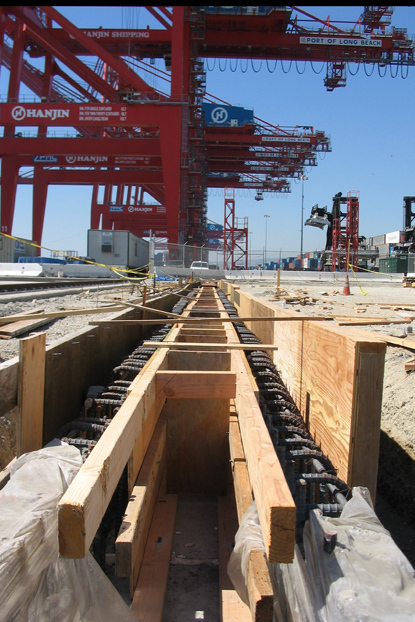 The project, built for Manson Construction as part of the important Pier T Wharf Improvements, was a crucial upgrade of the existing water and storm drain facilities. 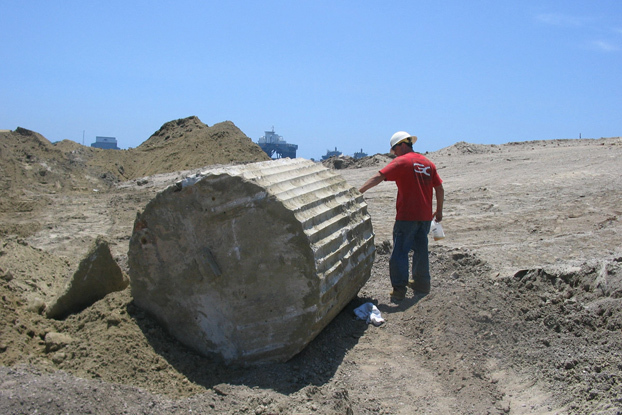 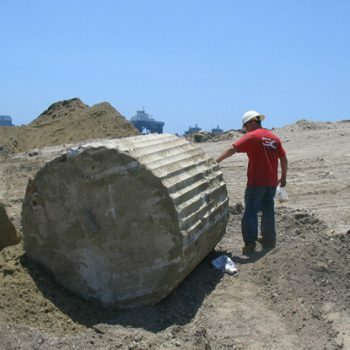 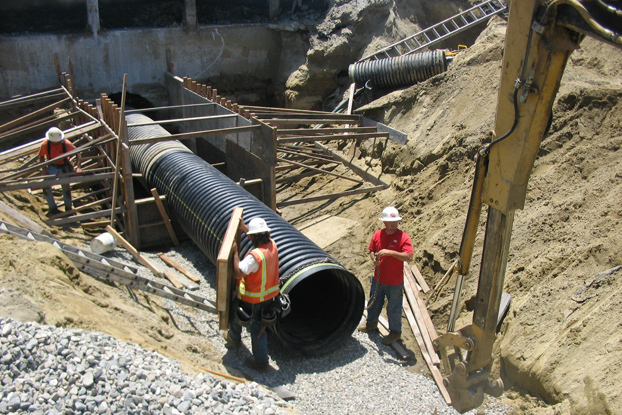 Our crews installed over 3,300 LF of fire protection line and 3,000 LF of storm drain line including outfall structures constructed through the existing two-foot thick seawalls. 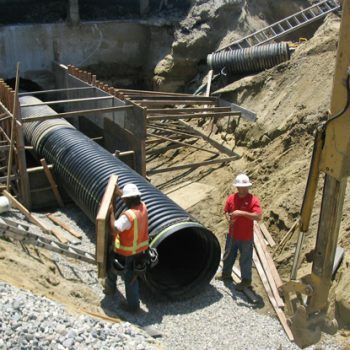 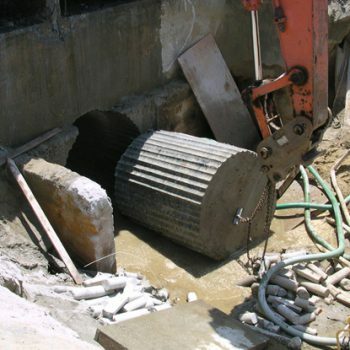 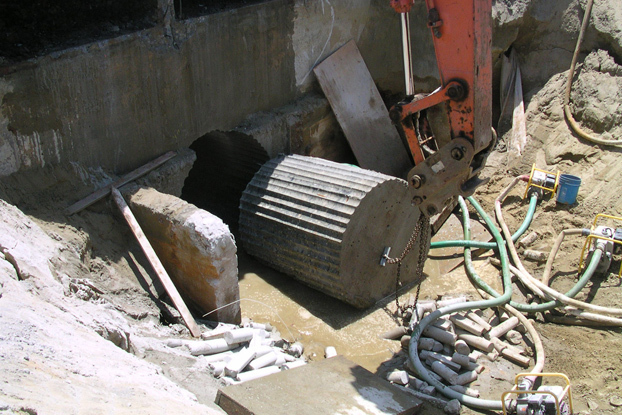 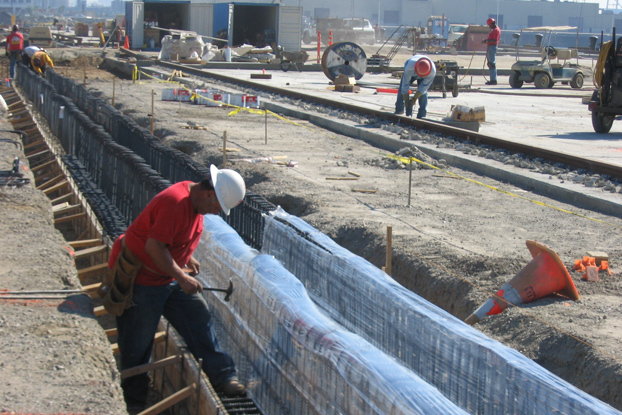 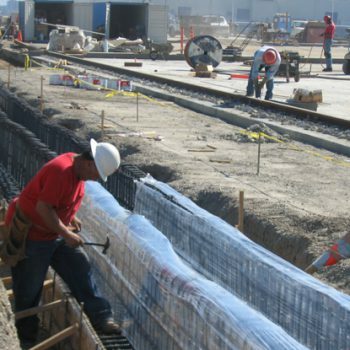 All this coupled with over 1,300 LF of detailed trench drain and an aggressive schedule highlight Griffith Company’s commitment to quality and excellence.